NATURAL DEODORANT, WE'VE COME SO FAR. 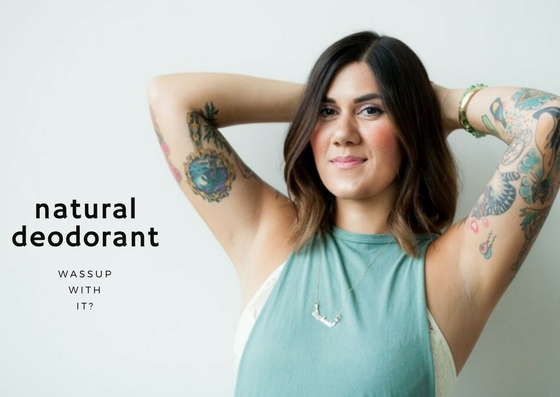 I've been on a mission to find the best natural deodorant for a loooong time. We've all heard the rumors that aluminum, the active ingredient in deodorants and antiperspirant, can increase the risk of cancer and Alzheimer's disease. There is no real evidence that supports these claims but it was a great reason for us all to think twice about the ingredients that we put on our body. I've always been a stinky bish. So I knew making the transition to an aluminum-free, all natural deodorant was going to be a challenge. There is generally a detox period that occurs when you quit using antiperspirants. You'll sweat a whole lot more but it only lasts a few days. Remember when how the Crystal Stick and Tom's were basically the only natural deodorants around? I used it 'em still smelled like a raw onions and have the permanent pit stains to prove it. Now there is an abundance of products on the market that use botanics and essential oils to naturally neutralize undesirable body odor. My Judy hit me up because he forgot deodorant one Summer day and needed some tips! Ugh I hate when I do this and it happens ALL THE TIME. 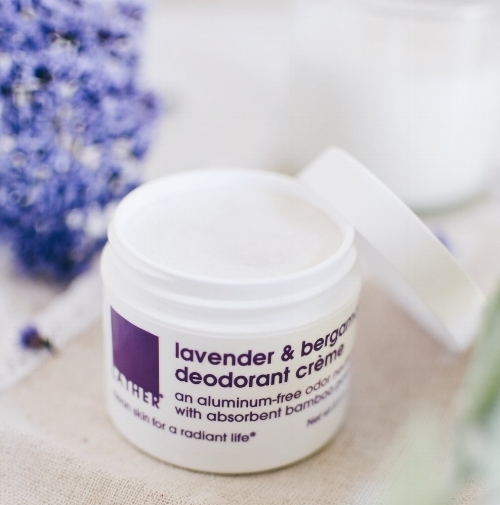 I couldn't think of a better time to share my favorite natural deodorants. Raise your hand if you always forget to wear deodorant? EEEK!? Nothing like catching that first whiff on the subway. First off, how many drops of oil did you use? Lime is okay for topical use, but it should be a small amount, like 1-2 drops. Not all essential oils are meant to be used topically because they are super concentrated. Ideally, if you're going to apply them to the skin, you would dilute them with a carrier oil, like coconut oil, almond oil, rosehip oil, etc. I am notorious for forgetting deodorant! Essential oils are definitely a good call, if they are meant to be used topically. :) I recently purchased an essential oil rollerball from Maven Made, which is helpful for last minute odor control. deodorizing. In a pinch, I will use hand sanitizer on my pits! Body odor pops off when the bacteria on our skin breaks down sweat. Hand sanitizer certainly takes care of the bacteria in my skin and it's my go-to remedy. If you have freshly shaven pits, prepare to feel the burn. If you have access to lemons (maybe from yr cocktail), the citrus can certainly help as well. A hand sani + lemon combo is basically like bathing! Depending on your sitch, I think it's always better to remove the odor than to mask it! Then you can start with a clean slate! My life changed forever when I found these Pacifica deodorant wipes. They are so conveniently perfect for any lifestyle. I use them after the gym, before I go to work, or anytime I'm feeling a little unsure. It's nice to wipe all that bacteria funk away and start fresh. I love the original coconut milk scent. It smells like a day at the beach! It comes on strong at first and doesn't linger, which is nice. The kale extract scent has an herbaceous, camphor-y scent that will make you feel extra clean! I do feel some guilt about how wasteful wipes can be, so I try to limit myself to one wipe a day. I don't beat myself up if I have to use more though. I was using these wipes as my primary deodorant for a few months until the Summertime. When I was in Thailand sweating my brains out everyday, I had NO body odor. It was amazing actually. Then I truly detoxed from typical antiperspirants and my body chemistry has changed a bit. These wipes are supplemental to my daily routine and I truly panic when I start to run low. I keep multiple packages on hand for all of my bag situations. This was one of the first natural deodorants that I tried. Formulated with eucalyptus extract as the main ingredient, this deo is has antiseptic & antibacterial qualities. It was developed with sensitive skin in mind and honestly, I think all armpit skin is sensitive. This product goes on clear and cool without leaving any residue on yr clothes or skin. Citronellyl neutralizes odor but not for long. I'd say that when wearing this deodorant, I can expect to smell or need to use a deodorant wipe after about 3 or so hours. It doesn't make you smell awful but you can catch a faint whiff of B.O. Just beware while hugging. (If you are into that type of thing) I think this deodorant works better in the cooler months than hotter months when we are prone to more sweat. I get the best results out of this product when I am not planning on exerting much energy, like exercising. If you barely sweat or don't really stink, this might be a great natural deodorant for you. It can certainly get the job done in a pinch, but I don't see myself purchasing this again! I bought this deodorant simply because the package is so cute! I mean, is there anything more precious than a cat working out? I could do without that snake situation though. Anyway, I bought this from Boketto Wellness while at an event. I was headed into work after and could already sense that I forgot to apply deodorant. The true test of this deodorant was applying on top of semi-smelly pits then working for 8 hours. This product is for real long-lasting! Made with lemon and eucalyptus oil, I feel like the low-key special ingredient in this is the clove oil! Clove kills bacteria in many forms, including the bacteria that causes armpit odor! This deodorant is made with organic, natural, vegan ingredients and the packaging is biodegradable. It kinda reminds me of a push-pop. You kinda have to warm the stick up to get a good application. The oils in the product will begin to soak into the packaging pretty much after the first use, which is whatever. This deodorant solidifies in the cold. It's not super fragrant but you also can't really catch B.O. It kinda just smells like nothing after a while. This mini is never leaving my purse!! I would still recommend cleaning off your pits before applying this, if you have the chance. Or maybe even wiping off the deo stick. You don't want to spread that bacteria! I picked up this Weleda deodorant when it was on clearance at Elements Beauty Shop. I had never really used a spray deodorant before but I was down to give it a try. 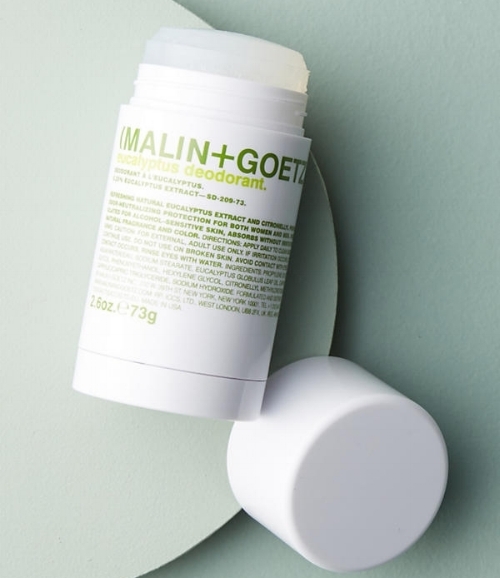 No aluminum salts, no risky antiperspirant minerals, certified vegan, non-aerosol pumps, recyclable glass bottles; this deodorant is an all natural dream. A lovely cocktail of sage, rosemary, and lavender essentials oils makes for an earthy, herbaceous fragrance. Organic sage and tea tree oil create an astringent property while thyme and rosemary essential oils neutralize odor. I enjoy this scent the most out of all of the deos that I've tried. Warm, woody tones are so my vibe. This deodorant definitely works. The scent is long lasting but it does a great job balancing my B.O. Weleda takes pride in the fact that this product supports natural detoxification while other antiperspirants clog yr pores and block you from sweating. I personally love how incredible I feel after sweating it out. Why would I want to obstruct that process? My only complaint about this deo is the pump spray. It could use some improvement. You will definitely have to spray at least 2-3 times to get full coverage on your armpit. No big deal, but this product is best applied when I'm not already running late. FYI, this bottle will last you forever. And the winner for my current favorite natural deodorant.....I am such a huge fan of Lather products! You might know this if you've been following along for a minute. Lavender truly is one of my favorite scents and I dream of visiting French lavender fields in Provence. The sweet, floral aroma of lavender truly stirs up some feelings. It reeks of calm and tranquility. Combined with bergamot, this scent combo is purifying and uplifting. I love how quickly this crème turns into a light powder thanks to ground bamboo stem and arrowroot. It really absorbs moisture. Antibacterial coco oil and shea butter and added to ensure bacteria is not spreading onto the skin and creating a stinky, hot mess. I especially love that this crème doesn't stain my clothes. Of course, my biggest complaint is the application. If I am well prepared, I usually apply this with a popsicle stick. Most of the time, I am scooping the crème out with two fingers. I'm sure the dipping from sweaty pit back to the jar is not very sanitary, so I do recommend finding an applicator that works best for you. I think I need to get this crème it's own little spoon. I am truly impressed with how potent and long lasting this deodorant is. I typically shower at night, so I try to put deodorant on before bed. Most mornings, I will reapply deodorant but I was so stoked one day when I forgot to, went and worked out, and still smelled citrusy and fragrant. I am mortified at the thought of people remembering me for my stinky armpits. I know that if I can remember to actually put this deodorant on, I won't have to worry about that at all. Has anyone else noticed that most of these deodorants cost $14? It is a steep price for some pit product, but if you think about how long they will last AND how much they actually do for you AND how they are not clogging your pores....its actually a very great value. There really isn't an ideal natural deodorant for my #judysonabudget. It's all about deciding where you want to splurge. I do give my armpits extra special treatment. Trying different deodorants has been really fun but it is an involved process. Activity levels, hygiene, sodium intake, changes in perspiration, location, etc affect our body odor and the way we sweat. I am pleased to know that there are multiple reliable natural deodorants out there! The wellness come up is strong! Have you tried any of these natural deodorants? What did you think? Should I stick with my favs or try something new?